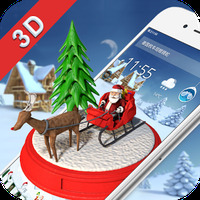 "Get a beautiful 3D Merry Christmas theme"
App description: This is a 3D theme which you can use to decorate your Android device in order to give you a beautiful Christmas touch. Functions: The theme also allows you to customize icons to give them a festive look, making them now white with a hat of Santa Claus. Graphics: It has a 3D background with Santa Claus which looks stunning thanks to the high-quality resolution. Rating: The TOP 5 Most popular themes in Christmas Themes category. 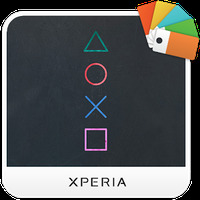 Ranking: The TOP 10 Most downloaded themes in Christmas Themes category. No errors or blockages were detected. Increases the speed of battery consumption. Do you like Merry Christmas 3D Theme? Cool app Helps me get in Christmas spirit! Decorate your device with a Christmas keyboard! 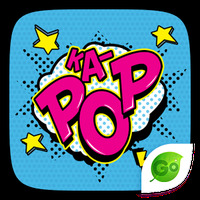 Keep the New Year mood on your device with this theme! Start the new year with this gorgeous theme! A theme inspired by the Lunar New Year!